So you probably know I’ve been writing this blog about curing diabetes and I’ve made a few before and after pics – just to underline my journey. Before and after I lost over 30 kgs and cured my Type 2 Diabetes – this isn’t going to be that kind of photo comparison. The other day while looking through my old chemical photos and I found some from September 11 that I never bothered to digitize because … well … they are fat photos. But also the events of the day don’t bear dwelling on, but it occurs to me that rather than a Before/After photo what I really want is an After/Over photo. 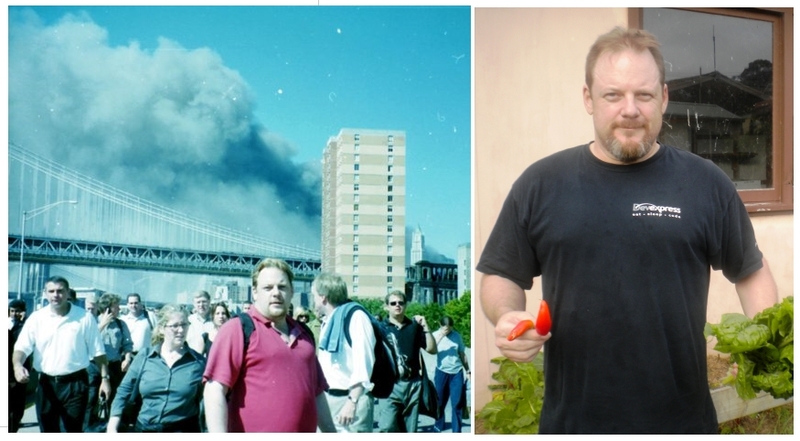 So it’s kind of a photo comparison of before and after I cured my diabetes, but it’s also a photo of “After September 11” compared to a photo of being “Over September 11”. I wasn’t going to find out that I had type 2 diabetes until 2003, but already in 2001 at age 35 I was already showing signs of Diabetes that are now obvious to me – that fat being deposited around my internal organs. Mainly the foie gras in my liver, but also the suet around my kidneys. I was sick and nobody knew it. None of my doctors, and we really had good health care back then. The photo on the left is one of very few photos that Julie took that day. We were escaping our office on Wall St. and heading home to Brooklyn up the FDR drive with about a Million other people emptying out of the offices in Downtown NYC. And because I needed the other end of this 14 year arc – here is the counterpoint. I’m almost 50, I’ve been retired for almost 10 years, We’re living on a beach, in our garden growing our own low carb food. All that is is missing is BlackDog … who is in the background somewhere. In a real way BlackDog helped both of us get beyond our PTSD from that September 11. When we rescued him from that no kill shelter in Las Vegas they told us his date of birth was sometime in early September 2001 but no one knows the actual date. We figured that was as good a date as any, and it would be nice to have something else to focus on on that day. 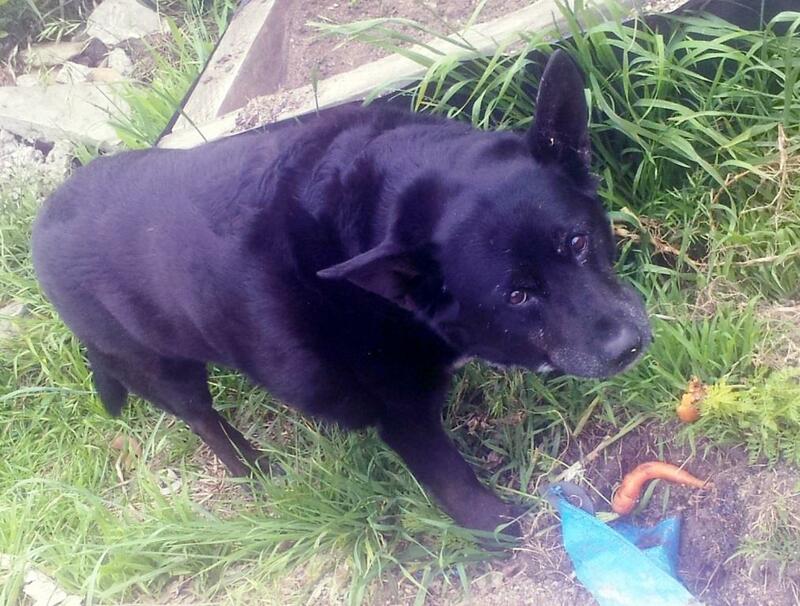 Today he protects us from carbohydrates, mainly as it appears the carbs in that Carrot that he just dug up from our garden.